The Florida Museum of Photographic Arts (FMoPA) has become a welcomed addition to The Rivergate Plaza, and is a short walk from the Poe Parking Garage, Glazer’s Children Museum, Tampa Museum of Art and the Straz Center. We were able to get a guided tour of the museum from Director Zora Carrier. 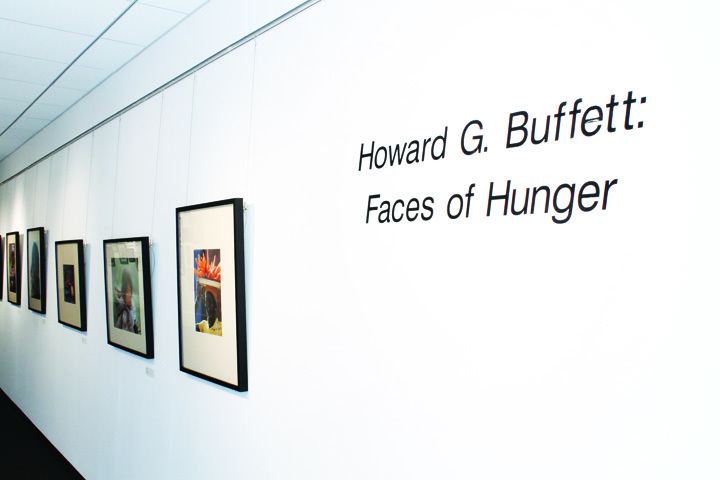 The exhibits we saw were the works of Ruth Bernhard, Elger Esser and Howard G. Buffet. The guided tour was great. It added a dimension to the pictures we were viewing. Knowing the background and style of the photographer helps you understand the photos more than just walking by and reading the descriptions. I believe Zora mentioned they usually do scheduled guided tours for groups of five or more. I highly recommend them. Zora was very informational. 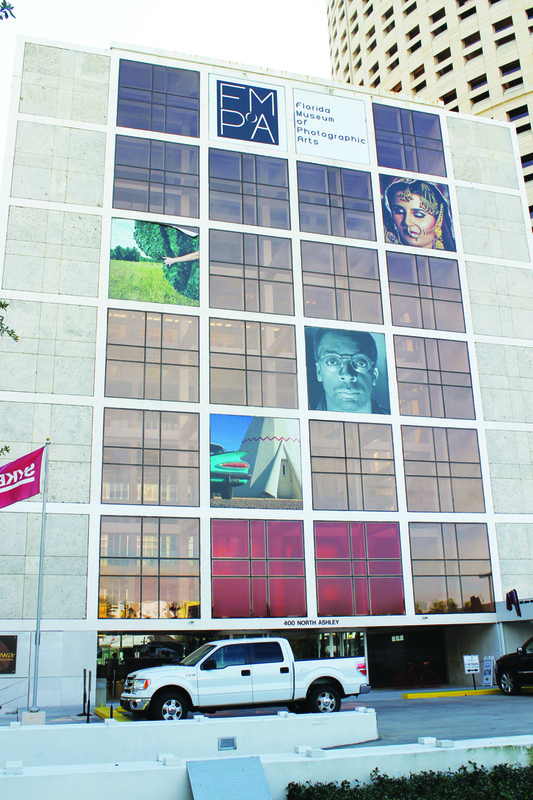 The Florida Museum of Photographic Arts (FMoPA) first opened in The Cube at Rivergate Plaza in downtown Tampa in 2012. It occupies the second and third floors of The Cube, a six-story atrium, and is easily distinguished from other buildings with its beautiful display of photographs hanging on the outside of the building. The pictures on the outside of the building have had me curious to visit the museum for a while. They definitely draw your attention. FMoPA was founded in 2001 and is a not-for-profit museum. It has hundreds of members and hosts over 25 photography classes a year. It displays exhibits from nationally and internationally known artists. First Fridays at FMoPa is open to members of the museum as well as locals to come and celebrate photography every first Friday of the month. Each month is different, with activities ranging from an exhibition opening, a social hour or even lectures. This event is free to members and students, and is a $10 suggested donation for non-members. The next First Friday event will be February 6, from 6-8 p.m. and will include an opening reception for a new exhibit titled Ezra Stoller: Photographing Modernism. 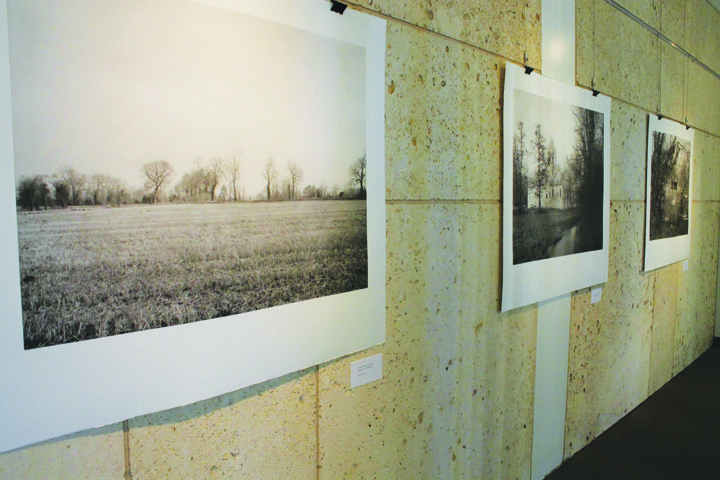 That will be replacing the Ruth Bernhard exhibit on the second floor, and the Elger Esser: Combray exhibit will remain on the third floor through Sunday, March 29. Those were my favorite; the large heliograveure prints almost looked like they could be drawings. There will be an artist lecture at the museum about Esser on Wednesday, March 18, from 6-8 p.m.
FMoPA offers photography classes in digital photography, beginning level and advanced, as well as workshops for children. Memberships for FMoPA begin at $25 a year for students and seniors, and different packages are available for adults, families, educators and there is a Silver Gelatin and Platinum package. FMoPA also helps out its members by allowing their photography to be displayed certain times of the year, and is also available for purchase. “We love to be able to give this opportunity to our members to showcase their photos,” said Carrier. The Florida Museum of Photographic Arts is open Monday through Thursday from 11 a.m.-6 p.m., Friday from 11 a.m.-7 p.m., and weekends from 12 Noon-5 p.m. It is located at 400 N. Ashley Drive. The museum is free for members, $10 for adults and $8 for students/seniors/military. For more information, visit fmopa.org or call 221-2222.